Yo, Romeo here. I am not going to get all fancy with rhyming couplets or drawn out soliloquies; I am just getting straight to the point – I need a new home! At 4 years old I am a big couch potato who wants nothing more than a soft spot in the sun. I’m a lover, not a hater and I like to show my affection through giving kitty kisses. Like my foster mom says, that’s a double bonus – free and loving microderm-abrasion! I would be good in a house with other cats and cat-savvy dogs. Oh I almost forgot to mention, I am declawed in my front feet so I am indoor only. What do you think? Are you looking for a buddy like me? I am fixed, vaccinated and microchipped. 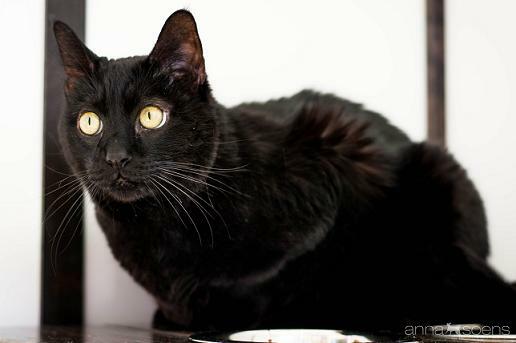 My adoption fee is $100 and I am currently living in the Pixie Project cattery.